Notes: Shootings of the 'Wrote For Luck' (and W.F.L.) 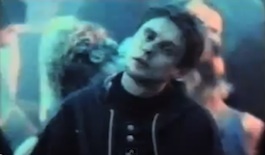 videos, at the Legends Disco, Manchester, 27 October 1988, and allegedly issued as an ultra-limited edition HAPPY MONDAYS 'in-house' CD Video. FAC 232 HAPPY MONDAYS W.F.L. FACT 420 HAPPY MONDAYS Yes Please!